You all know by now that there’s nothing I love more than a bit of a crazy travel adventure. 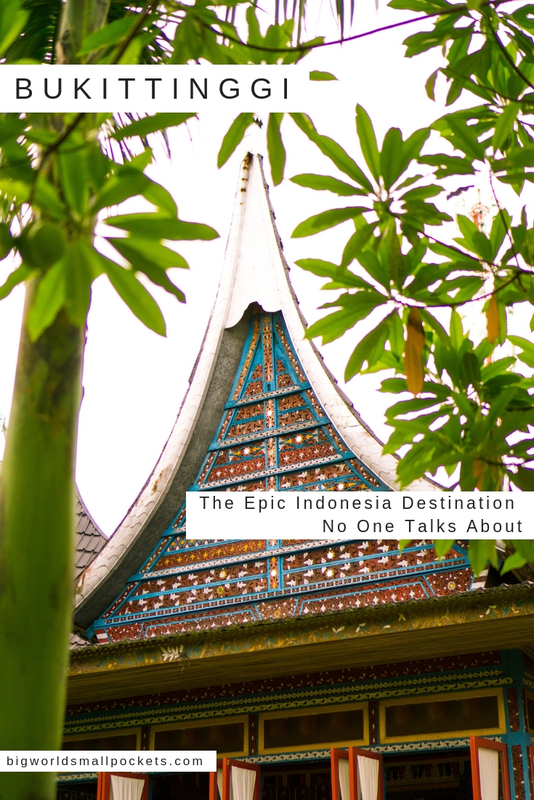 Yup, getting off the beaten track is what gets me going and while all those amazingly popular spots in Indonesia are popular precisely because they are amazing, that definitely doesn’t mean there isn’t room for some epic hidden gems in this HUGE country. And I have to say, I think I’ve found one of them. Or, rather I haven’t found it – it’s been there all along of course – but that it was amazing to stumble upon such a fascinating place that seemed to be on few other international tourists’ radars. 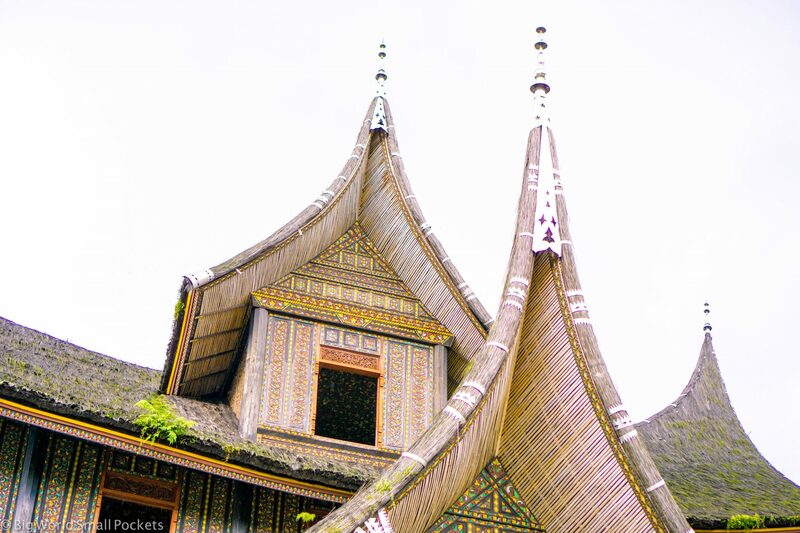 Introducing Bukittinggi – the epic Indonesian travel destination no one is talking about! Located on the Indonesian Island of Sumatera, Bukittinggi is the province of West Sumatera, 90km from the capital of the region – Padang. As you’ll know if you’ve travelled at all in this country, a few hours’ drive is a short distance in Indonesia, which makes Bukittinggi relatively accessible from this city. Located in the Minangkabau Highlands, Bukittinggi is a small town, bustling with local life and amazing things to discover. And as I said, best of all, it does not really appear to be on the tourist radar yet at all, perhaps because this whole region is largely ignored by many international travellers in favour of more well-known destinations in Indonesia. But of course, the fact that it’s less well-known doesn’t make Bukittinggi any less appealing. In fact, I’d argue it makes it even more appealing. 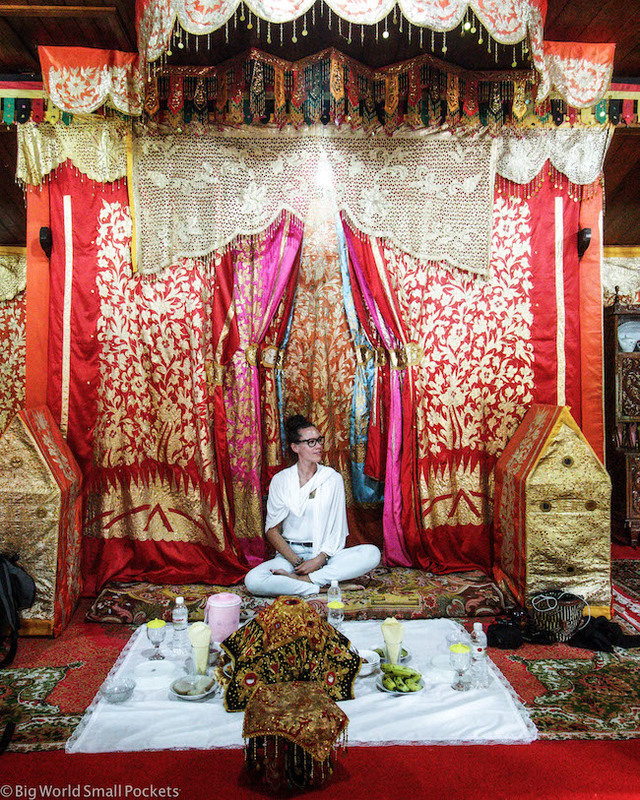 So how do you get to Bukittinggi in order to experience this secret Indonesian destination? Well, there are 2 main options when it comes to getting to this part of West Sumatera. The most popular, quickest and easiest is to fly to the province’s capital of Padang and from there take a bus or minivan for around 2 hours to reach Bukittinggi. As always, I recommend Skyscanner for checking out the best deals when it comes to flights. Flights are also popular among travellers because, with many starting their Indonesian journey in either Bali or Jakarta, the fact that Bukittinggi is located in Sumatera, makes most other methods of getting there – like extended boat or bus travel – untenable for many travellers. If you are already in Sumatera however, you can get a bus to Padang from many other regional capitals and large cities on this island. Obviously this is going to be time-consuming, but it is going to be cheap! Damri is the main operator and sometimes buses do pass directly through to Bukittinggi on their way from Medan in North Sumatera south to Jakarta. Why Should I Go to Bukittinggi? The fact that not many international travellers seem to visit Bukittinggi is definitely a reason to head to this destination in my opinion. This place is also well worth checking out because of the Padangnese culture and cuisine that can be found across West Sumatera. It is also a small town that can easily navigated on foot and not only feels very safe, but gives visitors the great chance to see experience a very authentic sense of life for everyday people here. 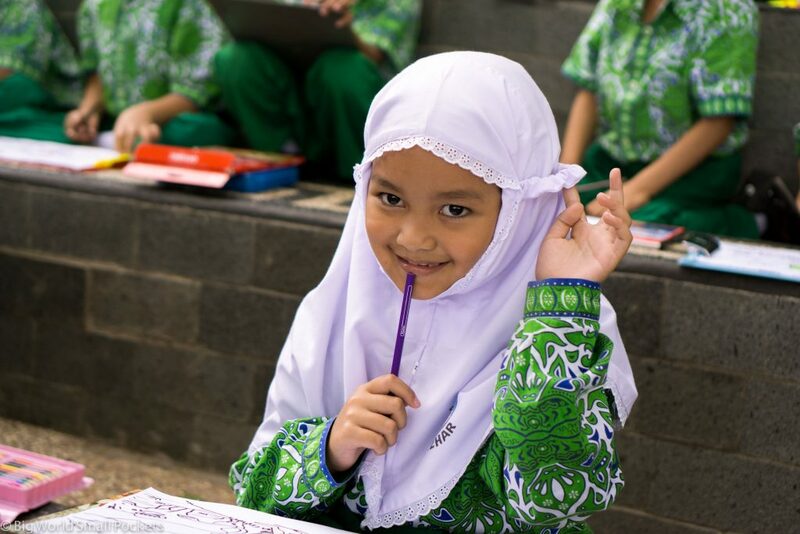 The area is 97% Muslim, so more conservative than other places in the country, offering another fascinating cultural dimension to the rich Indonesia tapestry. In addition, there’s some amazing historical and natural attractions to check out in and around the town including palaces, parks and underground tunnels. Mount Marapi and Mount Singgalang are 2 volcanoes near the city and both offer great hiking opps and panoramic views. Mount Marapi is actually still active. 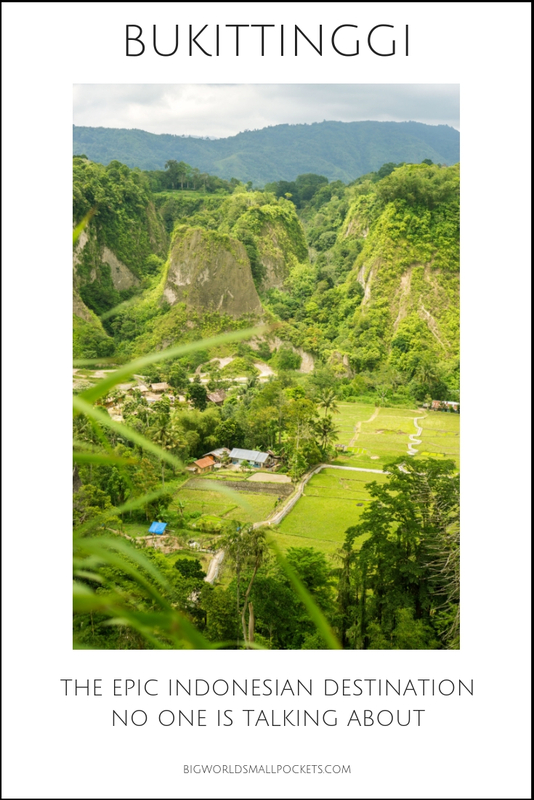 Sianok Canyon is another big drawcard as is the quaint village of Koto Gadang nearby. Being located close to the equator – in fact you’re almost right on it in this part of Indonesia – Bukittinggi is tropical to say the least. Mitigating this however, is the fact that Bukittinggi is almost 1000m metres above sea level – which cools things down significantly! 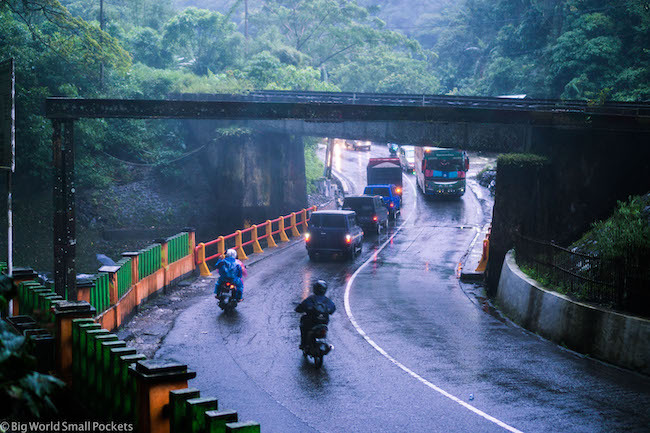 I visited Bukittinggi in October and it rained every day I was there, albeit only for a short amount of time. While it was warm in the day – think short sleeves – it definitely cooled off at night, meaning long sleeves were most definitely needed. A thin, light rain jacket, like this excellent one from North Face would also be wise to pack for your trip to Bukittinggi. That’s because there really is such a range of amazing stuff to get your teeth stuck into here. 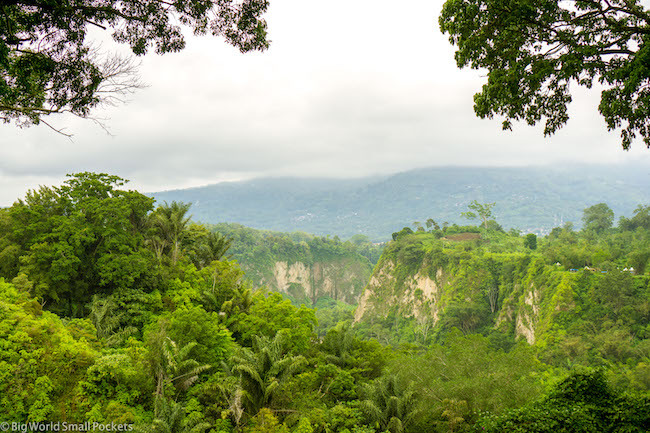 Starting the with natural side of things – the highland setting of Bukittinggi means this town offers an amazing array of outdoors activity on its doorstep. As I mentioned before, hiking either Mount Marapi or Mount Singgalang is definitely a good challenge for the active adventure-seekers among you. 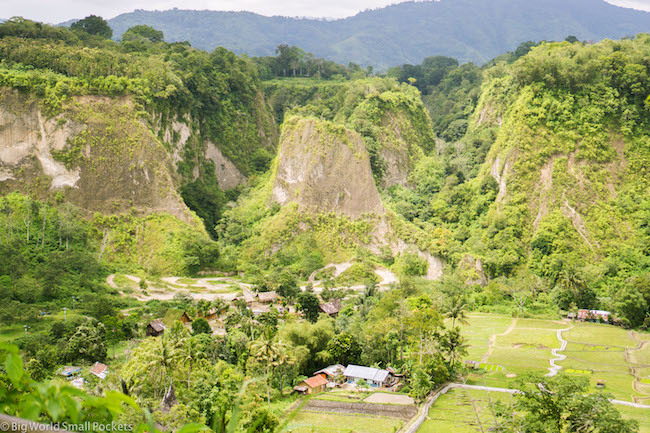 The Sianok Canyon and the Tabiang Takuruang are both gorges that can be hiked as well, and offer stunning views across traditional village and rice fields. 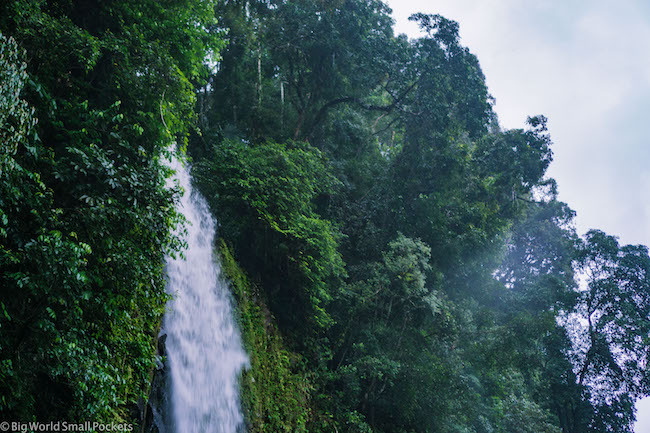 The Lembah Anai Waterfall on the drive to Bukittinggi from Padang is also a must see. 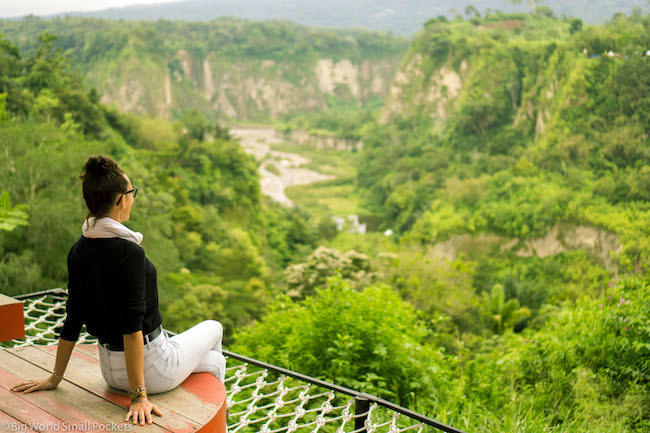 Bukittinggi’s Panoramic Park offers amazing views across the area, including from a 2 storey high lookout tower that can’t be missed either. In terms of history, the Dutch colonial past of the town means there are several fascinating buildings to visit including the iconic Jam Gadang, which means The Great Clock. No prizes for guessing what it is. Outside of town, the village of Koto Gadang offers more insight into the imperial history of this part of Indonesia. 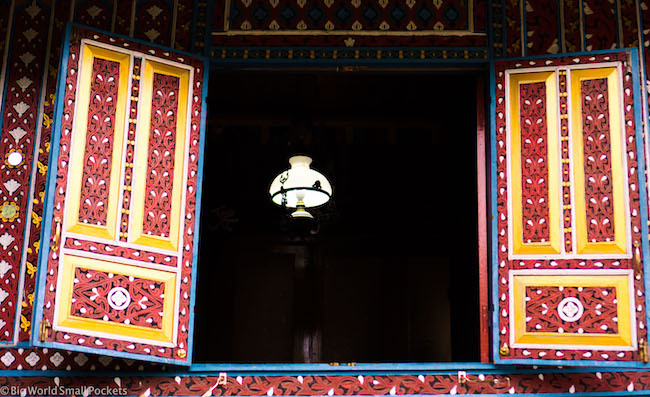 The Limpapeh Bridge, Rumah Gadang Baanjuang and the Birth House of Bung Hatta all showcase more local architectural insight and are reminiscent of the more traditional Minangkabau style belonging to this part of the world. 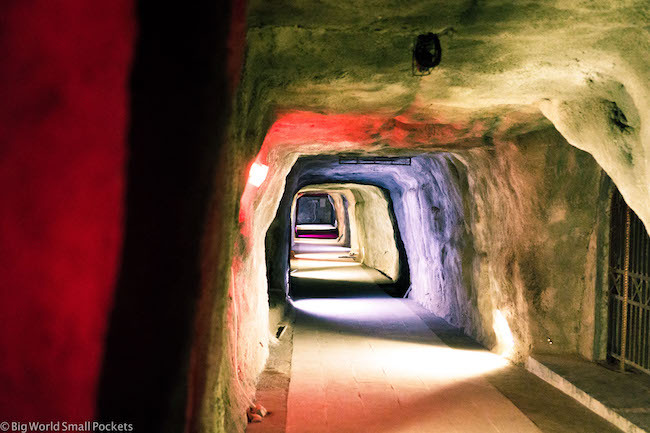 The fascinating Japanese War Tunnels, located with the Panoramic Park, are another great historical attraction that exemplify a different side of Indonesia’s occupied history. 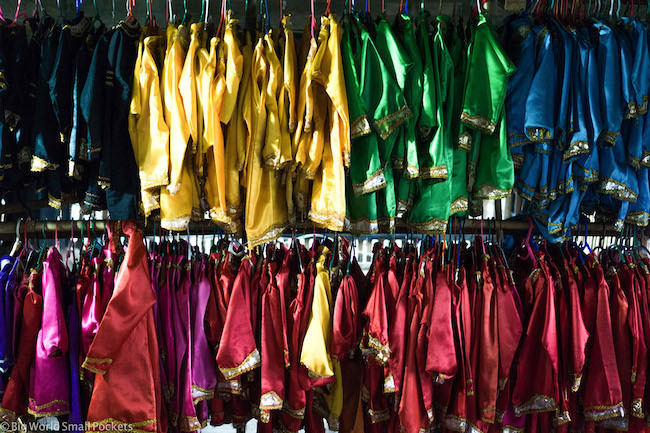 On the cultural front, the markets of Pasar Atas and Pasar Bawah are worth a visit, as is the Palace of Bung Hatta and the Bukittinggi Plaza. 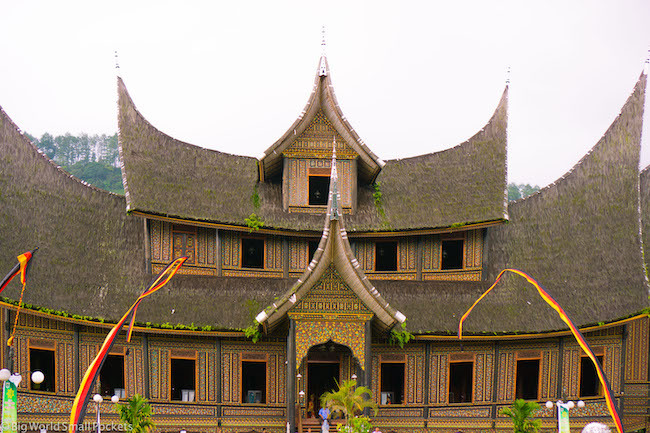 But perhaps the top trump card when it goes to cultural attractions in Bukittinggi is the Pagaruyung Palace. One of the biggest and most beautiful palaces in West Sumatera, this was the former home of the Queen in this matriarchal society. It is one of the few remaining regal buildings in this part of Indonesia and is not only architecturally stunning, but also offers the amazing opportunity to get dressed up in the traditional Royal garb and get snapped amongst the décor of this wonderful building – totally hilarious and a lot of fun! 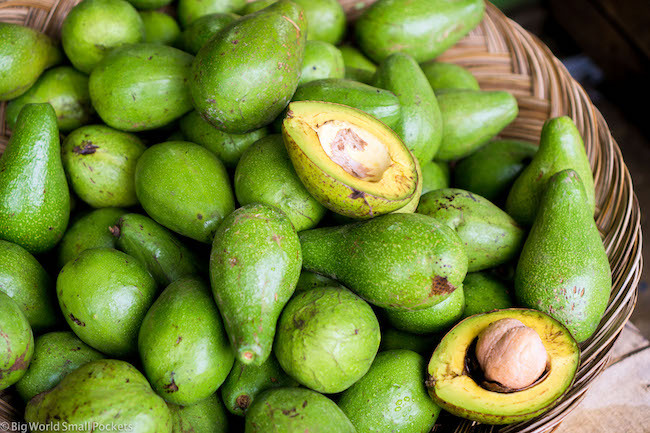 Being located near the city of Padang, you’ll be pleased to know that food in Bukittinggi is some of the most delicious in the whole of Indonesia. In fact, this part of the country is famous for its cuisine across the country and is particularly renowned for its plentiful use of spice and chillies, so get ready! Traditional restaurants such as Rumah Gadang Sawah Laman offer some of the most amazing dining experiences I had in Indonesia (that’s saying something) – the fresh food, served as you sit on the floor and eat with your hands! In the evening, the Rumah Makan Pariwisata Family restaurant in town offers more delicious grub along with the chance to see some incredible Padangnese dance performances at the same time. Afterwards, De Kock Café in Bukittinggi is a top place for a quiet beer or Ummack (also in the town centre) is the best café hangout. Sadly there aren’t any hostels per say to stay at in Bukittinggi, but there are several budget hotels that are centrally located and get good reviews. 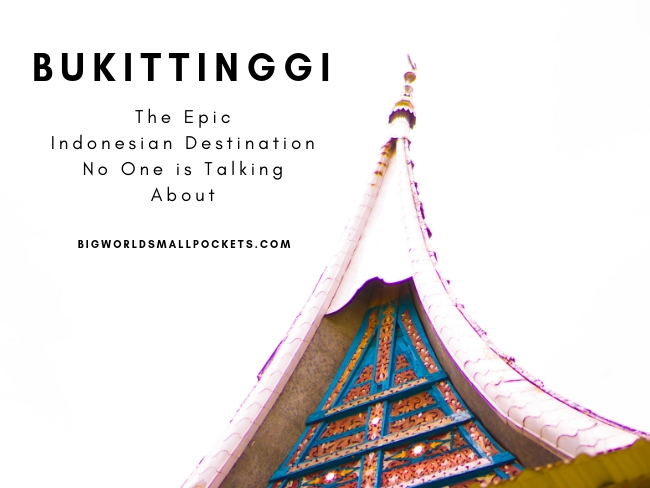 So there you have it, my guide to why Bukittinggi is the epic Indonesian travel destination no one is talking about and why you should get there before they start! Did you enjoy your time there as much as me? I went to Bukittinggi four years and it has been my favorite Indonesian ever since! The unspoilt beauty of the Minang highlands makes it so endearing & I yearn to go back there again!